Regular readers of this blog know that I believe deeply in the value and importance of connecting with, and trusting, your instincts. Recently I’ve been asked to explain what that means, exactly, and to differentiate ‘instinct’ from ‘chemistry’ and from ‘heart-sense’ — what your heart ‘tells’ you. For a start, I use the terms ‘instincts’ and ‘intuition’ interchangeably. I am sure people could quibble with this, but if there’s a difference it’s not substantive enough for me to care about. When we smell lilacs, we ‘know’ them sensually as natural, floral scents. We recognize them, pick them out of the other smells on the breeze. They will evoke an emotional response, an emotional ‘knowing’, based perhaps on what we have associated the smell with in past. They will evoke an intellectual response or ‘knowing’ as we recognize the type of flower, the fact that they bloom only briefly in the Spring, etc. And they will evoke an instinctive response, of attraction to the source of the smell (“pleasant”) but not a desire to eat the flowers (“inedible, except perhaps in tea”). How do we ‘know’ this, even before we know what a lilac is? When we meet someone new, we assess them sensually (physical size, attractiveness, dress, voice quality), respond emotionally (socially drawn to them or repelled by them, or indifferent), respond intellectually (thoughtful, creative, arrogant), and respond viscerally (aroused, threatened) . Our aesthetic appreciation for someone or something (a work of art, a sunset) that is physically beautiful is a complex amalgam of our intellectual, sensual, emotional and instinctive (visceral, somatic) responses to them. And sometimes, we ‘know’ when someone is telling us X that they really mean Y. We pick up the subtle clues — the body language that betrays concealment, the sweating, the eyes that don’t meet yours, the catch in the voice, the pheromones exchanged. Is this instinct, or just good observational skill? What, too, is “good (or bad) chemistry”? We tend to say that we can just “intuitively” like or dislike someone “at first sight”, before exchanging a word with them, across the room. I’ve known people fall in love who speak different languages and hence can’t communicate with words at all. What is going on here? 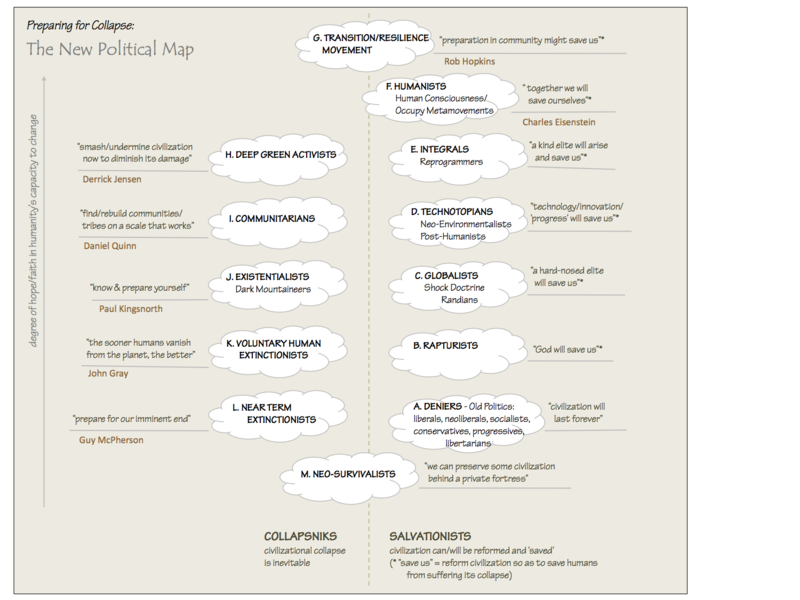 And when the intuitive first impressions are out of sync, non-reciprocal, what are we to make of this? Gaia theory and complexity theory “intuitively” made sense to me the first time I heard about them. I loved the ideas intellectually, and to some extent emotionally, but at a deeper level they just resonated — I just ‘knew’ they were ‘right’ (or at least as ‘right’ as any idea can be to someone who constantly challenges everything he believes). And what about the people who “intuitively” just ‘knew’ they were meant to be a doctor, or a musician, or a writer? They carried a passion for these practices in their heart, to the point that they were ‘callings’. It made sense to their heart. Many indigenous peoples believe that, before making an important decision, it is valuable to ‘sleep on it’. This allows the whole person to integrate and consider the knowledge they have acquired unconsciously or subconsciously, which is, according to most scientific studies, more than 99% of our total knowledge. my emotions are translating and reverberating the intellectual, aesthetic and physical/chemical attraction I have for this person, and the indications of reciprocal attraction, in a way that makes ‘heart-sense’? And what if, on thinking or saying this, I am then told that my affection for this person is not reciprocal, that my intuition was ‘wrong’? Will I just rationalize it away? My friend Mushin Schilling argues that we each have a complex multi-dimensional ‘field’ around us that resonates like gravity, and which we can learn to be attuned to. Many religions likewise speak of ‘vibrations’ or ‘vibes’ between and around us, either physically or psychically (or perhaps metaphorically). Perhaps the vibe is chemical, pheromonal, or perhaps it is a synthesis of the flow of energies — intellectual, emotional, sensory and instinctive — between every two objects, such that the energies between the two bodies immediately and powerfully affect each other. Is unrequited love simply a matter of miscommunication (poor transmission, bad reception) of these energy flows? One could apply a sort of entropy theory to the idea that we all ‘intuitively’ want to be of use in the world, to explain that those who need X will be ‘intuitively’ attracted to those who offer X, and where those needs and offers are in sync the vibe will be good, and intuition is hence nothing more than an understanding of power dynamics, an understanding of who needs and wants and offers what, and whether the energy flows can be sustained. The thing about intuition is that we know it before we think it. We intuitively blink when something gets too close to our eyes, because if we waited to process and respond to the information it could well be too late. There is much recent research that suggests this applies to most of what we think we know — that believing that our thoughts have an impact on our actions is putting the cart before the horse, and that all thoughts are after-the-fact rationalizations, post-processing. When I asked the rhetorical question “can we choose who we love?” my answer was ambivalent: We can’t choose who we are instinctively inclined to fall in love with, but we can choose how and whether to act on that impulse. All of our thoughts, I think, are rationalizations, justifications, post-processing for what our instincts tell us to do. They tell us what to do because for millions of years they were wise (and when they weren’t, evolution ‘taught’ them to become wiser). Our bodies and senses and emotions process much more information than our poor, overworked brains, and they ‘know’ more, and faster, than our brains ever will. Our brains, fortunately, have considerable say in how and whether we act on this instinctive knowledge, especially when there is evidence that our instincts were ‘wrong’. So I think it is wise to trust our instincts because they have steered us right for millions of years, and because our brains, while good at remedial steps, are too slow to set initial direction. Our instincts are integrative — they are rooted in our million-year-old DNA but they also detect and respond to the unconscious chemical signals and subconscious knowledge that is vastly greater and more varied than the feeble trickle of knowledge our conscious minds process. And our emotions — fears, love, anger and the rest — are responses to our intellectual processes, our aesthetic/sensory processes, and our instincts. 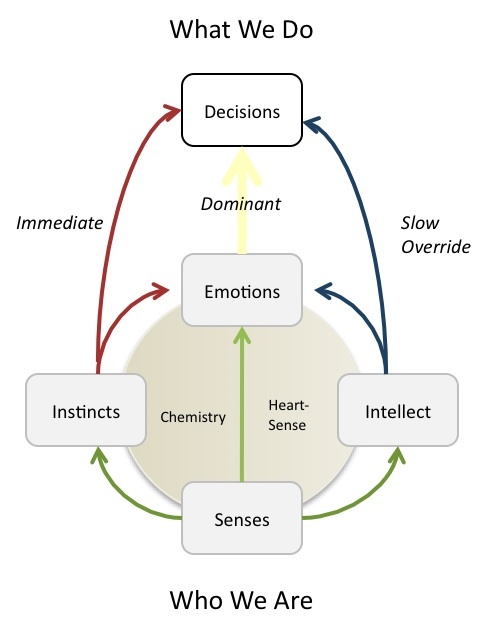 So this says that our senses inform our instincts, our emotions and our intellect, and that both our instincts and our intellect inform our emotions and our decisions (though our instincts do so immediately, before we think, while our intellect takes its time, and, with the advantage of hindsight, second-guesses and sometimes overrides our initial decisions). Meanwhile, our emotions dominate our decision-making most of the time. Our chemistry (e.g. 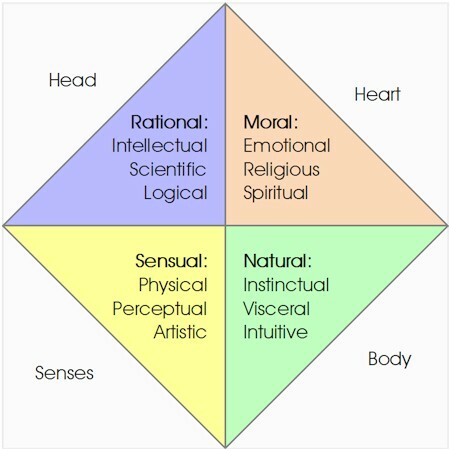 pheromones) is the interplay between our instincts, senses and emotions, while our heart-sense (e.g. our ‘calling’ and my passion for Gaia theory) is the interplay between our intellect, senses and emotions. Our choice of who we are initially attracted to is chemistry; our choice of who we ultimately love is holistic (double-vibe, full-circle energy flow): chemistry and heart-sense. So is the knowledge that comes to us when we ‘sleep on’ a decision or problem. Including the knowledge that someone will, or won’t, be an important part of our life for a long time. Now you know how you know. OK. And for good measure, check out such not-necessarily-pseudo-science tomes as The Molecules of Emotion & ilk for discussion of heart organ and stomach organ and liver organ etc as brain, where neurons actually reside. Fascinating to me. In a personal assessment of my life, the loves of my life have felt separate and not so controlled as everything else. I choose them far less than they choose me, and they often work for reasons I would not have chosen intentionally. They don’t always align with my goals, and occasionally actively frustrate them. Your description here resonates with me, as I’ve never found much happiness in controlling this aspect of my life.